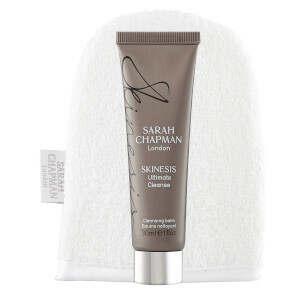 Treat your skin to an awakening experience with Sarah Chapman's Skinesis Morning Facial, an award winning formula dedicated to improving skin hydration and radiance for a more youthful complexion. Perfect for those with wanting, stressed or ageing skin, the vitamin-rich oil combines powerful actives and anti-ageing ingredients to boost collagen, plump out lack lustre skin and increase firmness and elasticity. Its easily absorbed texture sinks into skin, delivering protective properties to shield from photo-damage, UV induced damage and everyday environmental aggressors whilst regulating sebum production to keep shine and breakouts under control. Skin will look instantly radiant and glowing with no shiny residue. Younger looking, plumper and smoother. Experience the benefits of an all day long facial with this youth-boosting formula. Infused with the revitalising scent of jasmine and neroli oil. For instant radiance smooth a few drops over or under your day cream every morning. Pat sparingly over make-up as an 'anytime' wake-up call.